The 2011 WSOP November Nine are the only players remaining in the World Series of Poker Main Event. 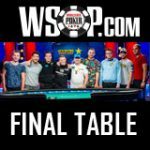 These players will return for the 2011 WSOP Main Event final table in November where only one player will be crowned champion receiving a WSOP bracelet and $8,711,956 in cash for a first place finish. The November Nine are Matt Giannetti, Badih Bou-Nahra, Eoghan O’Dea, Phil Collins, Anton Makiievskyi, Sam Holden, Pius Heinz, Ben Lamb, Martin Staszko. 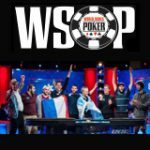 The 2011 WSOP November Nine have been announced, they will return for the World Series of Poker Main Event final table on 5th - 7th November 2011. Info: 26 year old poker pro. Info: 49 year old businessman. 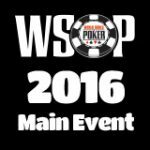 Info: 21 year old poker player, playing first WSOP. 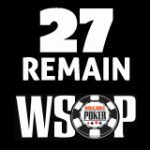 Info: 22 year old poker player, playing first WSOP. 2011 November Nine consists of players from 7 different countries, making it the first final table in history with the most international players. First main event final tables for players from Belize, Czech Republic, Germany & Ukraine. ChipLeader Martin Staszko will start in November with the biggest stack followed by Eoghan O’Dea. Ben Lamb has pass Phil Hellmuth in points on the WSOP Player of the Year leader board. The WSOP Main Event Final Table takes place between the 5 - 7 November 2011. Final table takes place at the Rio in Las Vegas - Penn and Teller Theatre. ESPN have been broadcasting live from the World Series of Poker with more footage than ever before. Fans can watch the final table live in November televised or streaming on the web. 2011 WSOP Main Event Day 9 - continues with 9 players on 5th November 2011. 2011 WSOP Main Event Day 10 - Heads-up with final two on 7th November 2011. Every year the Last Woman Standing is always a topic of interest, this year Erika Moutinho was the last woman remaining in the Main Event finishing in 29th place, one position higher than her boyfriend David Sands who finished in 30th place. Erika Moutinho was one of the 242 female poker players entering this years main event, Erika earned $242,636 for her 29th place finish. The 2011 WSOP Main Event was the third biggest tournament in the history of the World Series of Poker with 6,844 players registering.